You’ve received your fat admissions packet, toured the campus, and even bought a t-shirt, but your financial aid package falls short of expectations. Maybe you didn’t get any scholarships or grants – just student loans. Or maybe you were expecting an amount much larger than what was offered. What can you do? 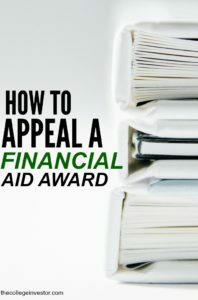 You can appeal your financial aid award. These are a few steps that new and returning students should take when appealing an aid package. 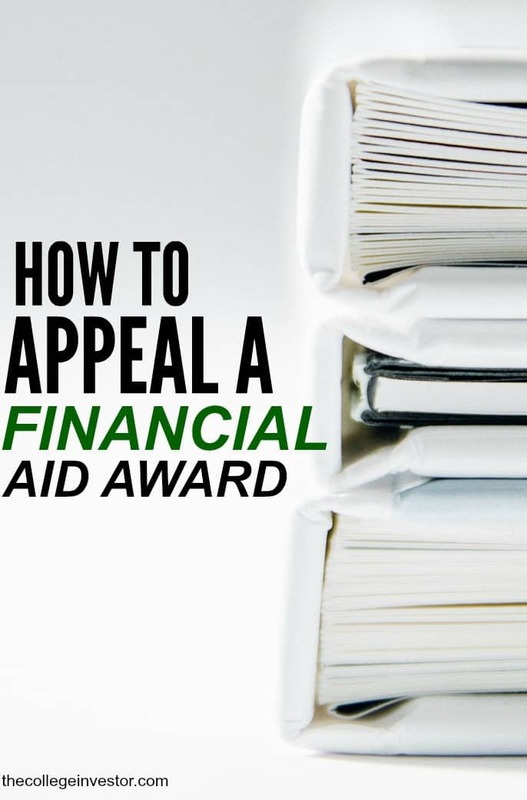 It’s important to note that appealing a financial aid award successfully is pretty rare. However, it doesn’t mean you can’t try. And the earlier you try, the better. Here’s what you need to do. Before you appeal a financial aid award, check out your school’s financial aid website. Bigger schools usually publish a formal process for appealing financial aid decisions. If the school has the process published, follow it. Smaller schools might not have the process published. In that case, call to set up an appointment. Once you know your school’s policies, reach out. It’s better to call than to email a financial aid officer. Why? It’s easy for overworked financial aid officers to miss an email or even two. A few people can serve thousands or tens of thousands of students. When you call, request an appointment to meet with a financial aid officer. An in person meeting is the best way to get a financial aid officer to become your advocate. If you can’t meet in person, set up a phone call to review your award. While you’re making calls, consider calling the admissions office too. The admissions office may have information about unclaimed merit scholarships that can help you out. When you meet with a financial aid officer, you’ll request a reassessment of your financial aid award. If you’re going to get more aid, you’re going to need to prepare. What do you and your parents think is your unmet need? Have a specific number in mind. Gather documentation that shows why you and your parents can’t cover the gap. A family budget, or documentation of a family change (such as divorce, job loss, etc.) goes a long way in altering aid. Do you have a better package elsewhere? A school may increase your merit aid if they know another school offered you more money. Did your situation change from when you first applied? This can be helpful in understanding any changes. During the meeting with a financial aid officer, you need to be careful about how you conduct yourself. Financial aid officers aren’t going to feel comfortable calling the meeting a negotiation. You and your parents need to be careful to keep the tone of the meeting assertive but non-confrontational. You want the financial aid officer to become an advocate and a partner with you. Start the meeting by saying, “I would like you to reassess my financial aid awards package because (reason 1) and (reason 2).” Would you like to see documentation about these reasons? Then, take the time to listen. You should view the financial aid officer as a partner. The financial aid officer should be able to explain what they can do, and what they cannot do. If you’re an accepted student, they want to work with you. However, if enrollment is high they might not have more merit awards or subsidized loans to offer. If the financial aid officer is unable to offer grants, bursaries, or scholarships ask them to keep an ear out for opportunities. Remember, a financial aid officer is your advocate not your adversary. Most of the time, a financial aid officer won’t give a definitive answer about adjusting financial aid during the first meeting. Instead of pressing for an immediate answer, ask when and how you should follow up with them. Once you’re done with the meeting, thank the financial aid officer and promptly follow up with any documentation they requested. Sending a thank you note through the mail is also a thoughtful gesture. If you don’t hear back about a reassessment, follow up via email and a phone call. The financial aid officer might not adjust your award, but they should tell you a definitive yes or no. Students who don’t get enough aid from their school still have options. Some schools will push you to expensive private loans, but those should be a last resort. Consider these options first. You can work more during your education. You can choose a less expensive school. You can defer enrollment for a semester to work and save money. Finally, you can find outside grants and scholarships. If you end up enrolling at the school, keep in touch with the financial aid officer. They can help you navigate tuition hikes and changes to their aid policies. College lasts four years, and you need to prepare for all four years.